Take the Nike Golf SPEED TRIALS Head to Head Distance Challenge. 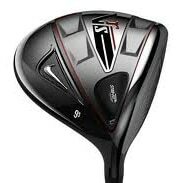 Hit the VRS Driver, Fairway Wood and Hybrid and see how much longer you could be! No appointments will be necessary to meet with the Nike Institute Staff inside the Player Performance Studio and test your driver against theirs on the FlightScope golf launch monitors. The Distance Challenge will be held at the Haggin Oaks Golf Expo at the Haggin Oaks Golf Complex in Sacramento, California from 27 - 29 April 2012.